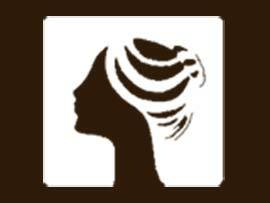 For an experienced Incompetent Cervix Obstetrician, call Marietta OB-GYN Affiliates, P.A. We provide treatment for patients with all different types of high risk pregnancies including Incompetent Cervix. Incompetent Cervix is a condition in pregnant women where the cervix becomes weakened and begins to open before the baby is ready to be born. If it is not treated properly, an Incompetent Cervix may lead to a miscarriage or premature delivery. 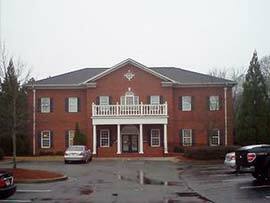 The six experienced Obstetricians and dedicated Registered Nurse, Clinical Nurse Practitioner at Marietta OB-GYN Affiliates, P.A. are highly trained to manage pregnancies for patients with Incompetent Cervix. We provide all the medical care for women needed to support high risk pregnancy patients from pre-pregnancy through to delivery. Our team is committed to mixing excellent medical care with sensitivity and compassion. If you live in Acworth or the surrounding areas and are looking for an OB/GYN physician who is trained and experienced in treating patients with Incompetent Cervix, call Marietta OB-GYN Affiliates, P.A. We offer treatment for patients with Incompetent Cervix as well as other types of high risk pregnancies. Diagnosis of an Incompetent Cervix can be made by a qualified physician using a pelvic exam or an ultrasound. Treatment involves a procedure called a Cerclage where the cervix is sewn closed, usually between weeks fourteen and sixteen, to prevent premature labor. The sutures are removed between weeks thirty-six and thirty-eight to prevent any problems when you go into labor. Our Obstetricians are experienced in performing Cerclage procedures and in delivering babies for mothers with Incompetent Cervix. 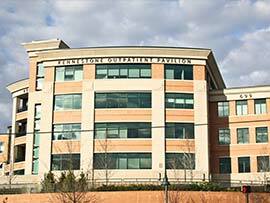 We deliver babies in the state-of-the-art birthing center at Wellstar Kennestone Hospital in Marietta. If you have had a previous surgery or trauma to the cervix, you may be at risk for Incompetent Cervix. You need a high risk OB/GYN you can trust to manage your pregnancy. 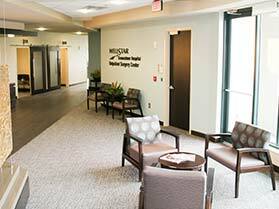 Contact our Marietta Incompetent Cervix Obstetricians at Marietta OB-Gyn Affiliates, P.A. to make an appointment. We are currently accepting new patients and we participate with most health insurance providers. We look forward to caring for you during this very special time in your life.